Need a Water Cooler Supplier in Leeds? AquaPoint are Yorkshire’s leading water cooler provider and we are positioned close to Leeds, UK. AquaPoint’s dedicated and customer-friendly team can deliver, install and maintain any type of water cooler in the Yorkshire area. We have professionally trained staff that all have the vital skills for installing and maintaining mains fed or water bottle fed dispensers. We bottle all the water at source and maintain strict health and safety rules with rigorous testing of the water and bottles at each stage along the production line. Becuase we’re local we only have to travel a short distance to Leeds making our service more efficient and eco-friendly. The ever-growing city of Leeds requires many thousands of gallons of fresh water a day. Quick response times and planned delivery schedules ensure that our customers never run out of fresh drinking water. 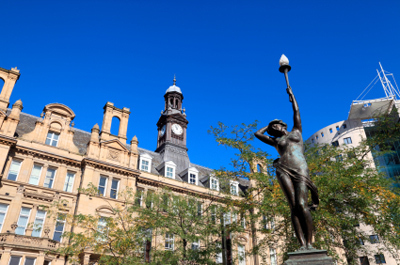 We aim to keep Leeds and surrounding areas vitalised, productive and refreshed. Would you like to use our service?